Ariel was born in Argentina and discovered the double bass at the age of 17. In 1997, he began studying the double bass in Buenos AIres with Miguel Angel Villaroel. In 2002, he won a scholarship from the Fundacion Antochas (Buenos Aires) to study in Vienna, Austria with James Rapport. After studying in Vienna, he moved to Belgium in order to continue his studies at the Koninklijk Conservatorium Brussel (Brussels Royal Conservatory), where he completed his master’s degree. He has worked with many world-famous conductors, and has been a freelance musician playing in the most important Belgian orchestras such as the Vlaamse Opera, Orchestre Philharmonique de Liège, De Munt/La Monnaie and Vlaams Radio orkest/Brussels Philharmonic. With these ensembles, he’s made many recordings. Ariel has given concerts in the most important concert halls of Europe and America, including the Concertgebouw (Amsterdam), Musikverein and the Concerthaus (Vienna), Cité de la Musique (Paris), Bozar and Flagey Studio 4 (Brussels) and the Teatro Colon (Buenos Aires). In April 2015, during the Brussels Tango Festival the Argentinian bass player decided to start a project called Sonico around the figure of Eduardo Rovira, creator (with Astor Piazzolla) of the tango nuevo during the Buenos Aires avant-garde in the early 50’s. The American violinist Stephen Meyer and the French Chilean bandoneon player Lysandre Donoso where immediately convinced to take part of this project as well. As member of Sonico, In 2017/2018, Ariel Eberstein will open Bozar’s season with “United Music of Brussels”, perform on Liégeois television during the festival “Jazz à Verviers,” participate in the “Een Beetje Belg” exhibition at the Red Starline Museum in Antwerp, and will perform as part of the European tour of Fernando Otero (winner of 3 Grammy awards). In 2018 Ariel Eberstein will go on tour , with Sonico, throughout Argentina in order to present the CD: EDUARDO ROVIRA: LA OTRA VANGUARDIA, which will be released in the fall of 2018. This tour will inclued a final concert at the “Festival Tango BA”. 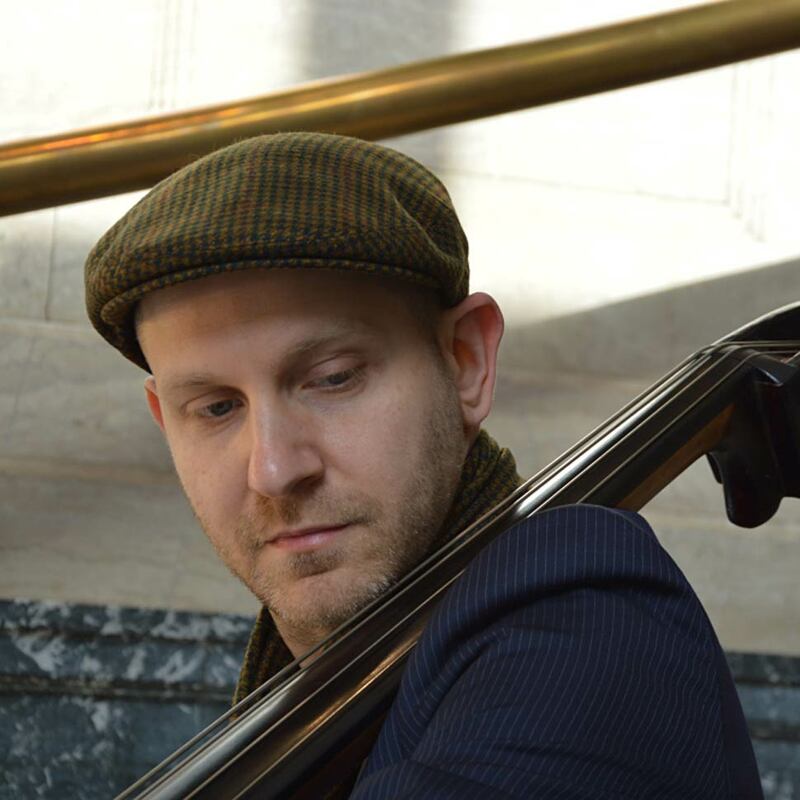 A. Eberstein owns a Martin Penning double bass and a H. Pfretchner bow.